Game of Thrones won for Best Drama and Best Supporting Actor for Peter Dinklage at the 2018 Emmys. The Emmys were a bit more conventional this time around, but sci-fi and fantasy were still represented. 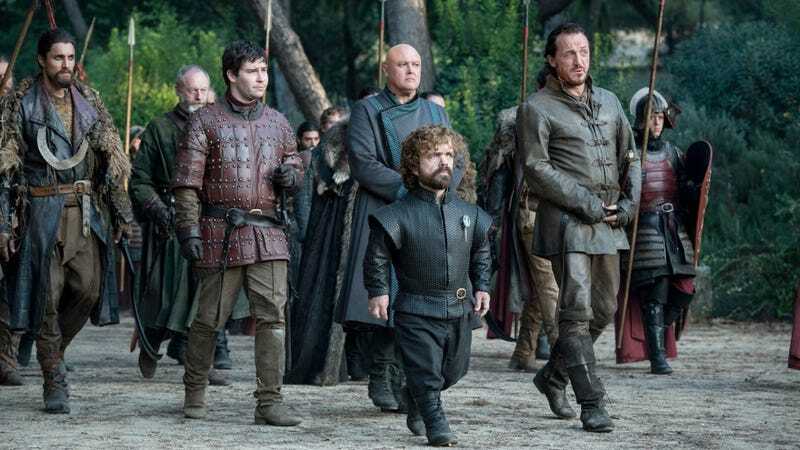 Game of Thrones, which was notably missing during last year’s Emmy Awards because of its release schedule, was again named the Best Drama—continuing its legacy as the most-award drama series in Emmy history. Thandie Newton won for Best Supporting Actress for her dynamic performance in Westworld, and Peter Dinklage once again took home Best Supporting Actor for Game of Thrones. Still, many of the awards this year were handed out to non-genre shows like The Americans and The Crown. Sadly, this left many great actors and shows unacknowledged. For example, it was disappointing (albeit not surprising) to see that Tatiana Maslany wasn’t recognized for her groundbreaking lead performance(s) in Orphan Black’s final season. In the limited series department, many eyes were on the latest iteration of American Crime Story, but Black Mirror’s disturbing Star Trek tribute “USS Callister” ended up taking home Best Writing in that category. “USS Callister” also took home the Television Movie Award at the Creative Arts Emmys, which aired separately earlier this month. Other notable winners during that event included Rick And Morty for Best Animated Program, best music composition for Game of Thrones’ Ramin Djawadi, and a couple production awards for The Handmaid’s Tale. Westworld also won that night for Outstanding Creative Achievement in Interactive Media Within a Scripted Program, a nod to its successful digital and social media campaigns.